A Baka community forest in Cameroon is sowing the seeds for a better future. WWF has long called for the establishment and recognition of a Baka community forest to reduce poverty and contribute to better management of the forest. A law was passed in 1994 in Cameroon allowed communities to request 5,000 hectare portions of forest to harvest and sell timber. But it wasn’t until 2009 that, through WWF partner organization ASDEBYM, the government of Cameroon granted the first 5,000 hectares to the Baka. This led to the creation of the Yenga community forest, permitting the Baka to utilise profits for development projects in within their community. For the Baka living in and around Yenga, the move was life-changing. One life in particular is that of Jean Kemani, it meant receiving critical financial assistance for his medical treatment. 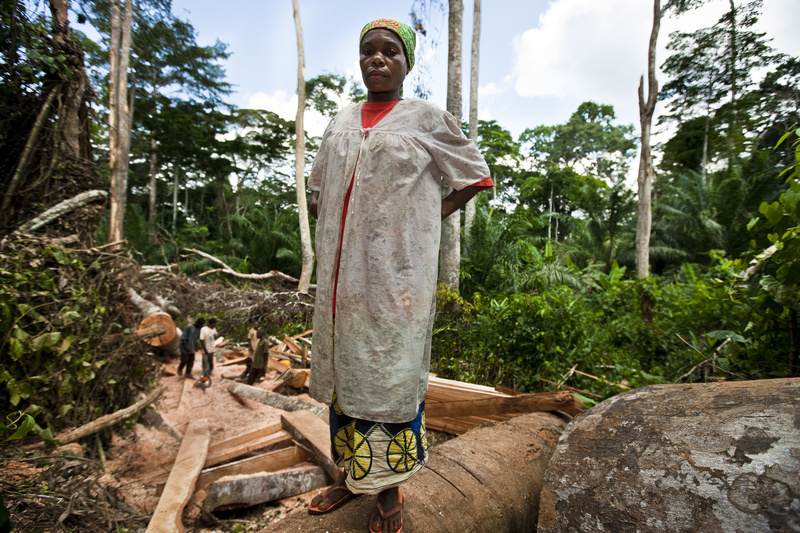 “Our forest has come to bail us out of poverty and death, as many members of my community have benefitted from it. Between 2013 and 2015, the Yenga community forest generated an average revenue of FCFA 6 million (USD 12,000) per year. About one-third of this came from sales of wood, with the other two-thirds coming from related employment opportunities. WWF Senior Forest Officer Alphonse Ngniado says: “It is heart-warming to see the Baka taking the lead in managing the community forest and taking care of their financial needs. Following Yenga’s success, WWF is currently working with local authorities to establish two other Baka community forests in Ngoyla and Mintom. There are now over 250 community forest initiatives in Cameroon ‒ engaging and empowering local families to lead better, healthier lives and build sustainable livelihoods. WWF provides training and financial support to help people set up community forests and get the most out of the opportunity. 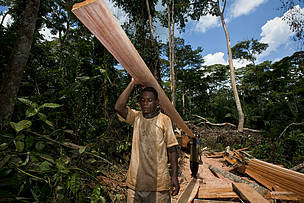 A Baka man working at a community forest project in Yenga village, East province, Cameroon. WWF helped to set up this community forest which started trading in April 2010. 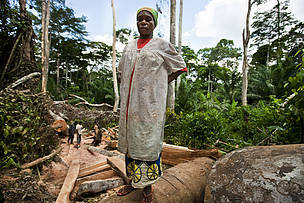 A woman at a community forest project in Yenga village, East province, Cameroon. WWF helped to set up this community forest which started trading in April 2010. This woman has been trained as an accountant.